There are times when you sit and ponder over a hundred things that you can do nothing about. There is this non-stop worry about kids, parents, spouse, house and so many other things. I worry about the water pressure in the bath room shower, plumbing spindle in the kitchen, DG automatic switching problems when the power goes off, the car that has gone for servicing, the cost of living, the kid answering me back, my parenting skills, my driving skills and the builder asking for extra money. Lots of worries?? Yes…but these are the ones I won’t trade. For these are minor worries in the larger scale of life. These are stuff that can be attended to : with time or money. And I thank God that my worries are limited to the water spindle in the kitchen or how the cake turns out when its taken out of the oven. It’s stressful at times, but on the whole, it’s a blessed life indeed. The best way to relax when you ‘worry limit’ reaches a point is to just pick that cocoa powder up and get baking! Like this pudding cake, for example. This can be baked in 6 individual ramekins as well. 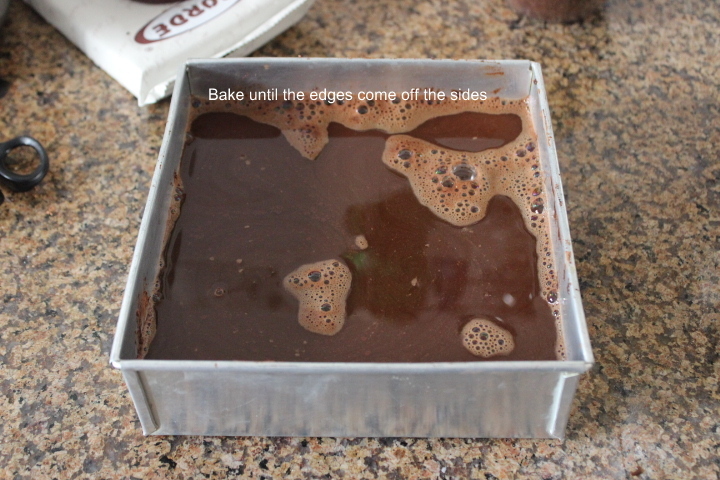 You need to add about 2 tbsp of cocoa-sugar topping and 3 tbsp of coffee for each ramekin. Baking time should be reduced to about 20 minutes. 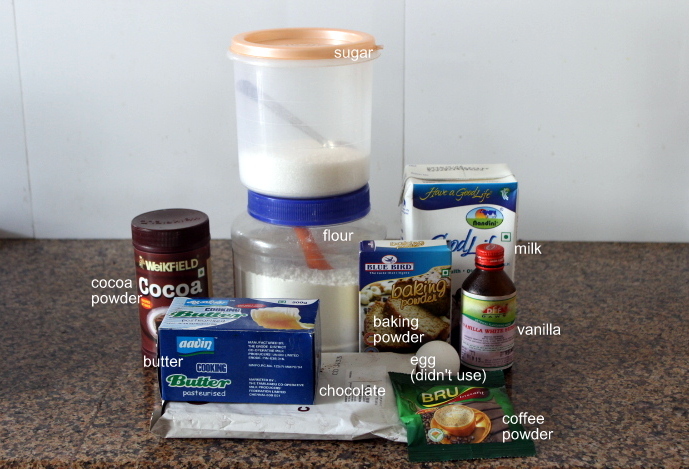 ** I found the cake to be a bit too sweet, so I would suggest cutting down a bit on the sugar – May be 1/4 cup each. Chop the chocolate into bits, microwave it with 1/3rd cocoa powder and butter for 30 seconds intervals until melted and smooth. Keep aside to cool down. 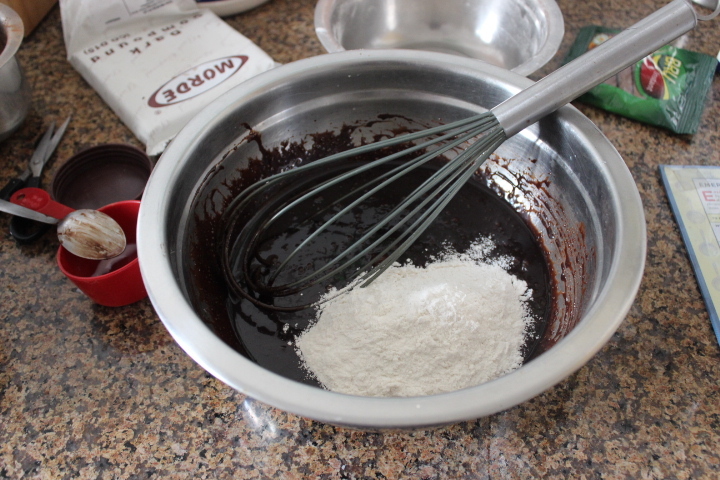 Whisk the flour and baking powder. Keep aside. 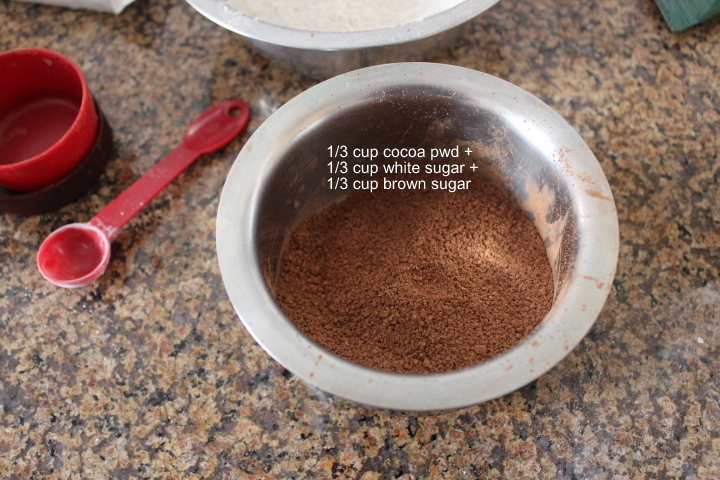 Keep the topping ready : mix 1/3 cup cocoa powder with 1/3 cup white granulated sugar and 1/3 cup brown sugar. 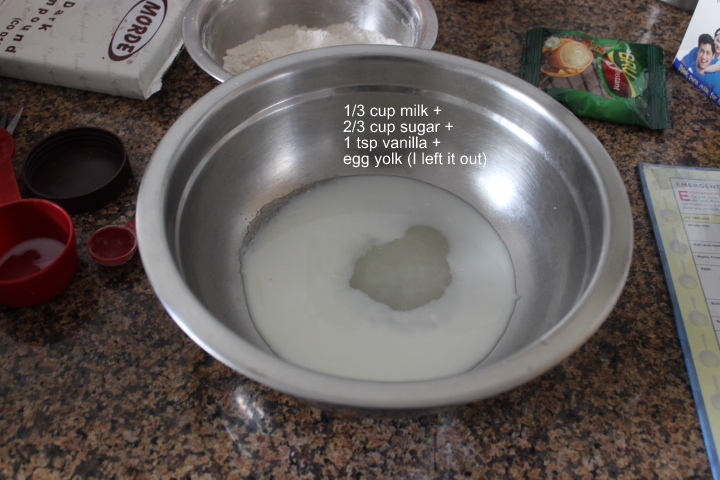 In a big bowl, add the milk, remaining 2/3 cup white granulated sugar, vanilla essence and egg yolk. Whisk well until its all mixed. Add the microwaved (now cool) chocolate mix to this. Whisk until everything is incorporated. 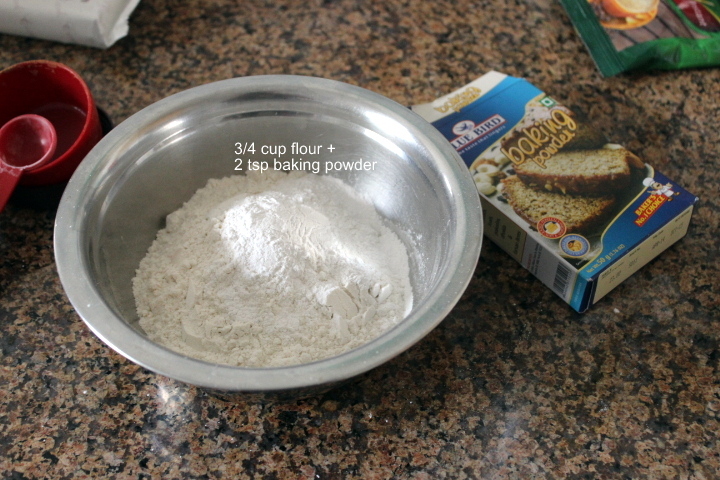 Add the flour-baking powder mix in 2-3 batches, mixing until just combined. 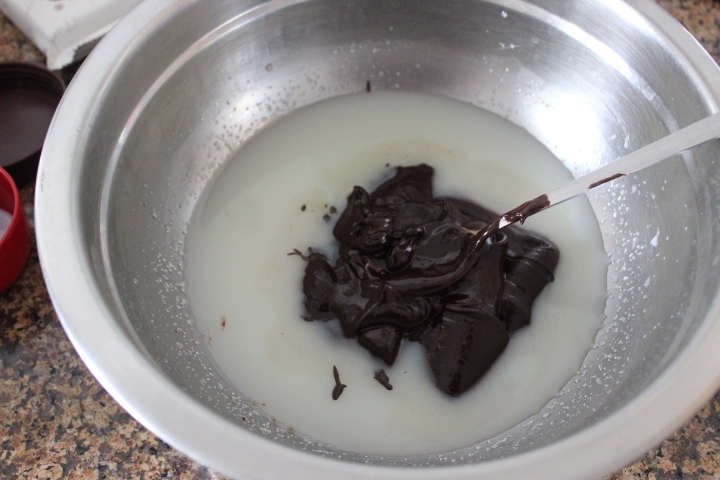 Pour the batter into a well-greased pan. 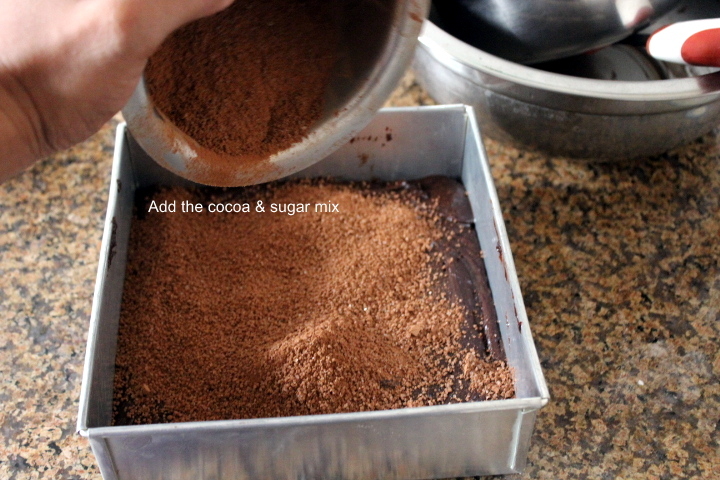 Add the cocoa powder + sugar mix on top. 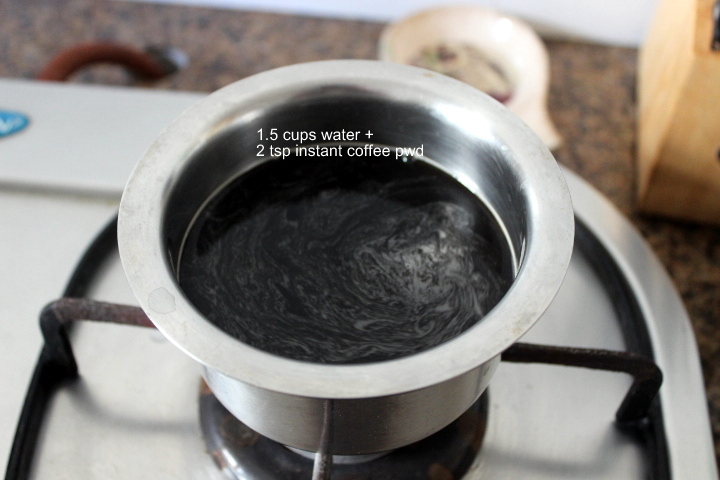 Prepare the coffee mix – heat 2 tsp instant coffee powder with 1.5 cups water. 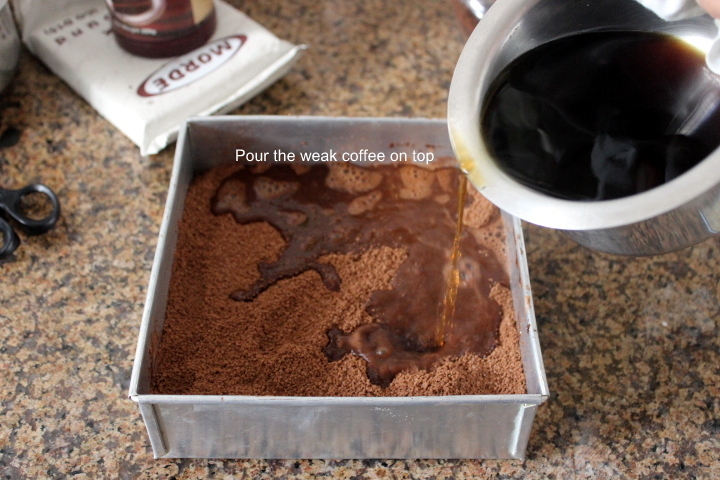 Pour this weak coffee on top of the levelled sugar layer. 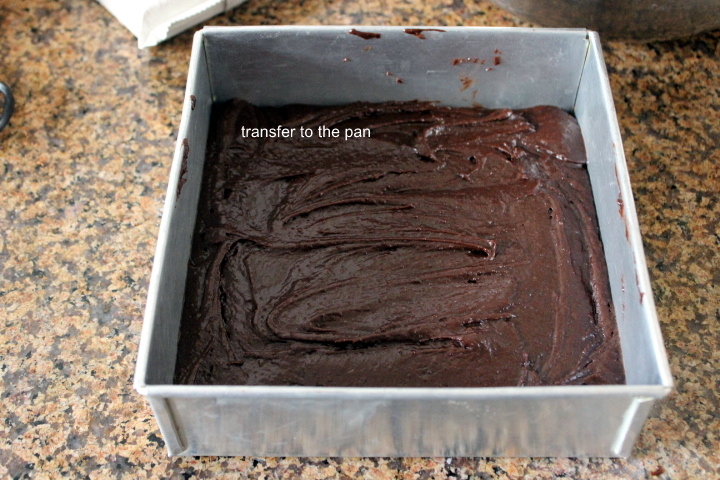 Bake for 35-40 minutes, or until the edges have come off the sides. Let the cake cool for at least half an hour before serving. 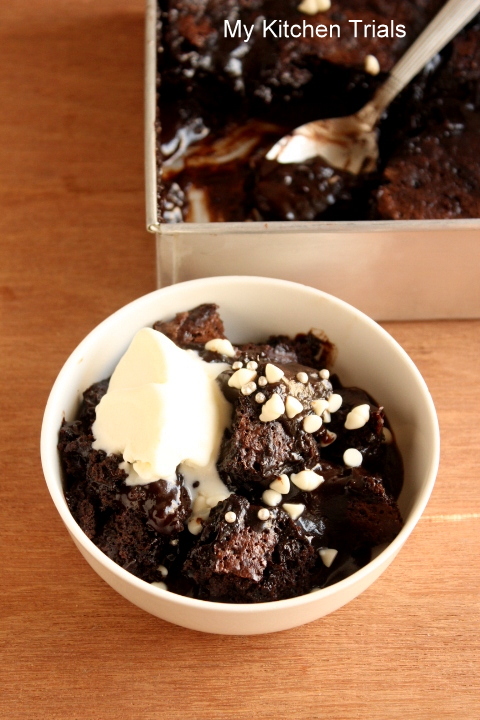 Serve with some home-made ice cream. 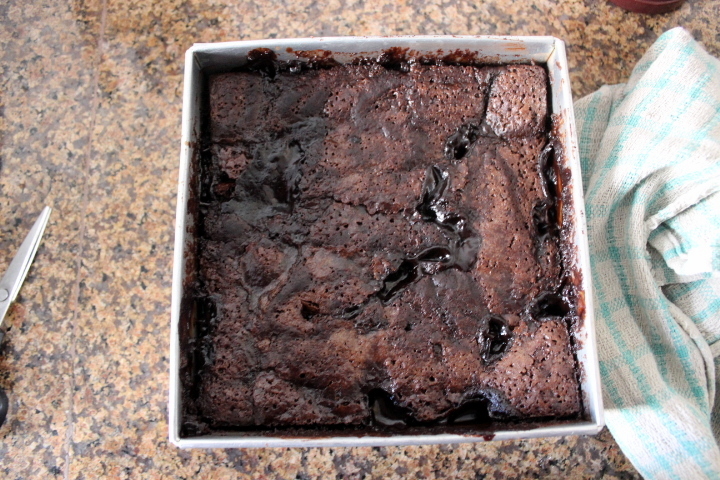 Pudding Cake looks amazing, I made one ages ago, I should make it again some time soon.